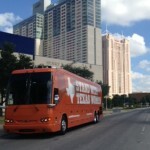 On Wednesday, the bus stopped in Dallas for a press conference outside City Hall that drew about two hundred supporters. From there, we hopped back on the bus and headed to Fort Worth where more than 1,500 people stood in the 100 degree heat to stand with Texas women. Rick Perry and his allies have lit a fuse in Texas. They've slashed funding for women's health and cut 130,000 women off from their only source of care. Now, they're pushing their dangerous agenda to a new extreme — threatening to shut down dozens of health centers, denying even more women access to basic care and ending access to safe and legal abortion in most of the state. Defenders are a core group of supporters who have said they'll give their time to defend Planned Parenthood, the health services they provide, and the people who rely on them — in what just may be the fight of our lives. Legislation isn’t decided by a popularity contest, but if it were HB 2 would lose. Just take a look at this photo of the thousands of women’s health supporters—decked out in orange—who showed up to rally outside the state capitol and oppose the omnibus bill designed to restrict access to safe and legal abortion in the state. The Texas legislature kicked off their work for the second special session with a vengeance Monday -- and so did supporters of women's health. 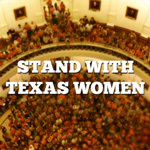 Well over 5,000 people flooded the Capitol at high noon on a hot day in July to speak out against Governor Perry's dangerous anti-abortion legislation, sending the message -- yet again -- that a vast majority of Texans oppose these measures and will fight them every step of the way. Senator Wendy Davis held her ground in an 11-hour marathon filibuster, speaking out against a dangerous bill that would have forced 37 of Texas' 42 providers of safe and legal abortion to close their doors. Hundreds of Texans packed the capitol to stand with Senator Davis -- and thousands of folks across the country joined in online. 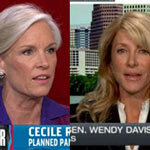 Less than 24 hours after the amazing filibuster from Texas State Senator Wendy Davis, Governor Rick Perry called a second special legislative session to move forward with the extreme legislation designed to virtually ban abortion. 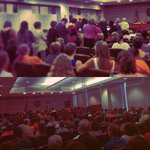 It’s an affront to the thousands of Texans who turned out in droves to oppose his efforts at every turn. WE DID IT! SB5 is dead. 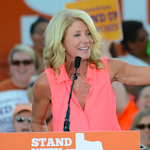 Wendy Davis and women's health advocates put up a heroic fight in Texas, and the message was clear: citizens will not allow politics to be put above the will of the people. From the day my mother, Ann Richards, took office as governor of Texas, she made it her mission to open the doors of government and "let the people in." Here in Austin, hundreds of Texans are taking her up on that offer. Governor Rick Perry, Lt. 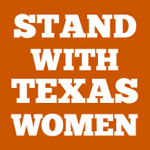 Governor David Dewhurst, and their anti-women’s health cohorts are using the special legislative session to fast-track legislation designed to dramatically restrict access to safe and legal abortion in Texas, but Texans aren’t letting them pass it without a fight.